Branding should be a priority for any CPG. A compelling brand attracts great people to your company, promotes loyalty, and increases sales. Promoting a strong brand experience is relatively easy when you’re calling the shots. If you’re running your own retail store or website, for example, your company is in the driver’s seat, so you can control (to some extent) how people experience your brand. It’s a different story when you’re selling across various retail banners. When your products are showcased in stores you don’t fully control, consumers may not perceive or experience your brand the way you intended. Merchandise can be displayed incorrectly or associates may fail to properly explain what your company is all about. Whatever the case, you need to take steps to promote a cohesive brand across different retail banners and ensure that consumers have a great experience no matter where or how they’re shopping. That’s exactly what we’ll discuss in this post. We’ve put together five tips to ensure that no one drops the ball when it comes your company’s brand. Check them out and see how you can apply them in your business. Creating a compelling and consistent brand experience in-store starts even before your products hit the shelves. You need to take several internal steps prior to dealing with retailers. The most important of these is to define what your brand stands for. You need to articulate the core or “essence” of your brand, and only after you do this can you craft the right experience. This step must be carried out from the top down. Your company’s leadership should take the time to define what your brand is all about. What makes your company unique? What emotions do you evoke in people? What is your core mission and vision? Find the answers to these questions, document them, and then disseminate the information to the rest of the company. See to it that everyone—from executives all the way to customer service reps—can understand and embody your brand so they can apply it to different aspects of your business (i.e., products, pricing, marketing, and customer service, among other things). Tommy Hilfiger is one example of a company that’s done a tremendous job of branding. Tommy sells online and in its own locations, but it also has a presence in department stores like Macy’s as well as off-price retailers such as TJ Maxx. Despite selling through different channels and outlets, Tommy Hilfiger has created a consistent experience for its customers. How? Simple—Tommy has nailed the image of the classic, preppy American. Every Tommy Hilfiger product and ad campaign promotes that same image, so consumers have the same perception of the Tommy brand across multiple channels and retail banners. Aim for that level of clarity and consistency in your branding efforts. Be extremely clear about who you are and what the core of your brand is so as to ensure that your essence shines through everything you do and sell. The next step is figuring out how to implement your brand’s core essence in different retail banners. This is where it gets tricky because, while your core message needs to remain consistent, the execution of that message will vary from one retail banner to the next. Achieving this requires close collaboration between customer teams. According to Chio, those on the brand management side must figure out what “true north” is for the brand, while the customer teams must take on the task of determining how the brand comes to life across stores (e.g., Walmart, Target or any other retail store). Successful in-store execution also requires collaboration between the brand and retailer. It’s not enough to know what your company stands for; you should also understand the retail store you’re working with and—more importantly—who their customers are. Think along the same lines. Really drill down on the consumers you’re trying to reach (and the retail outlet they’re shopping in) and then craft a strategy that lets them experience your brand in a manner that’s relevant to both your company and the retailer. Brand perception and purchase decisions don’t just happen in-store. More often than not, people already have preconceived notions about your brand well before they walk into a shop, and that greatly affects their experience. This is why CPGs should continuously reinforce their brand perception on the national level through different channels (i.e., physical and digital channels). This will go a long way in shaping how people perceive and experience your brand. Consider the strategy of Macy’s department store when it comes to cohesive branding. Macy’s strives to localize each of its stores, but at the same time, the company needs to maintain a cohesive experience across stores and channels. One of the ways it achieves this is by developing national advertising and marketing campaigns and by implementing policies consistently across all its stores. “Because we consolidated from multiple regional buying offices into a central organization, we also were able to consolidate our marketing and branding functions. That now allows us to do national media buys, and have national campaigns (like our holiday ‘Believe’ campaign) that we can merchandise and market consistently in all our stores,” said then-Macy’s executive Steve Nevill in a conversation with the NRF. At the store level, CPGs must ensure that their programs are implemented correctly and people have a great brand experience. Actual execution will, of course, vary from one retailer to the next, but as a general rule, you need to have clear and consistent guidelines for execution. Whatever type of program you decide on, ensure that you have documented and easy-to-understand guidelines for carrying them out. 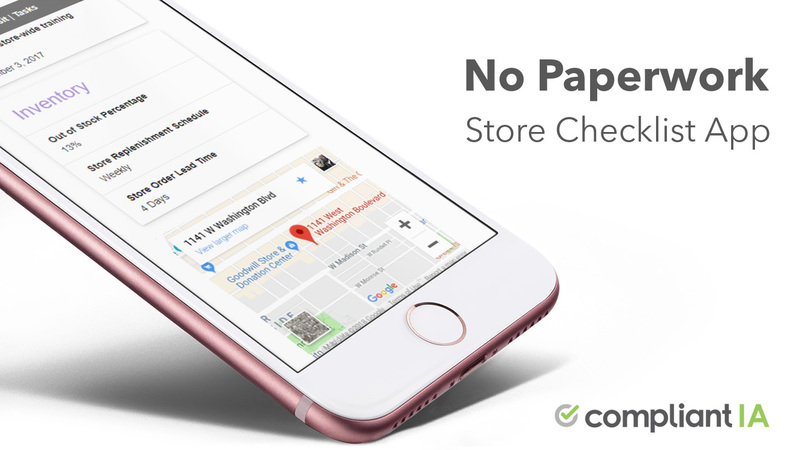 Establish the right protocol for your brand and relay information to retailers as clearly as possible. Communication and collaboration are critical. Keep communication lines open so you can share data, timelines, schedules, and KPIs. CPGs and retailers must work together to determine merchandise layouts, planograms, and more. Finally, see to it that those carrying out your programs—merchandisers, managers, and associates—have the right tools. Arm them with task managers, calendars, checklists, and anything else they need to effectively implement your programs. Don’t just implement your programs and call it a day. Closely monitor product performance across different stores. A great way to stay on top of program performance is to look at sales and revenue per retailer. Which retail banners are selling the most merchandise? Which ones are underperforming? This allows CPGs to determine product performance and figure out what action steps to take going forward. 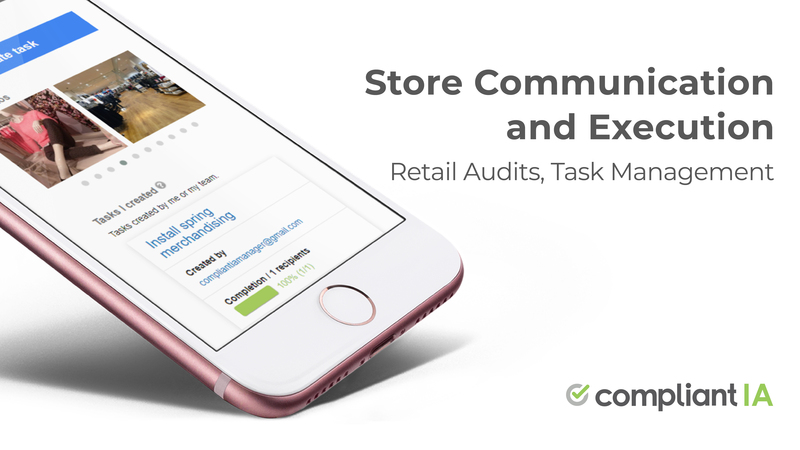 Another excellent practice to evaluate brand consistency is retail audits. Assign people to physically head over to different retail stores and see whether your programs are executed correctly and the brand experience is cohesive across other locations. Ensure that the person conducting your audit has a clear understanding of the brand and the message you want to get across. And for best results, document the audit as thoroughly as possible. Go beyond ticking boxes or filling out forms. Take photos. Interview associates. This will provide tremendous insights for your customer and brand management teams, and it will help ensure that your brand comes across consistently no matter where or how people are shopping. Hopefully, this article gave you ideas for carrying out each of these steps. And if you have any branding insights of your own, be sure to share them in the comments—it would be great to hear from you!